When a cat feels comfortable in their environment, they rub their cheeks against objects leaving a facial pheromone. Feliway is a synthetic copy of the feline facial pheromone used by cats to mark their territory as safe and secure. By mimicking the cat's natural facial pheromone, Feliway creates a state of familiarity and security in the cat's local environment. As a result, Feliway can be used to help comfort and reassure cats while they cope with a challenging situation such as moving or traveling. Feliway helps reduce or prevent unwanted behaviors caused by stress. Sometimes sharing a home can be difficult for cats. In fact, 60% of cat owners with more than 1 cat in the house report issues of tension between cats. 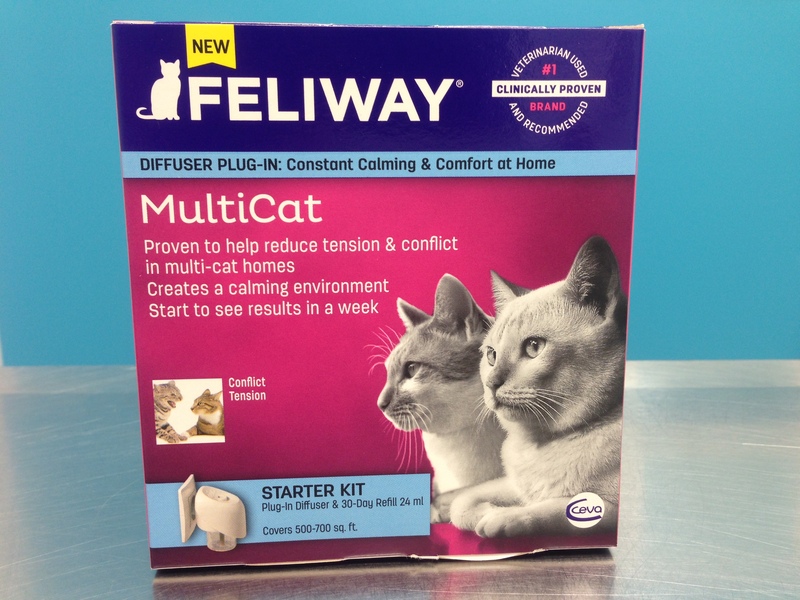 If your cats aren’t getting along, use Feliway MultiCat. Feliway MultiCat can help all cats living under one roof feel more safe and secure with their surroundings and ease animosity. It’s a copy of the feline appeasing pheromone mother cats produce during lactation. Cats of all ages sense this pheromone and it provides a calming effect that cats can recognize throughout life. 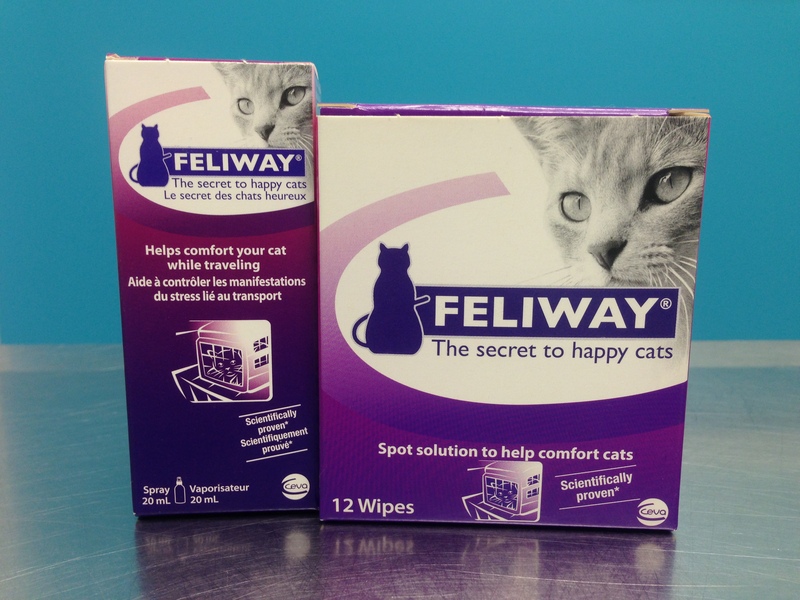 **We stock Feliway wipes, Feliway spray in both the 20ml and 60ml bottles and the original and multi-cat diffusers.